'Dafydd Lloyd George' of the Ffestiniog Railway on a train to Blaenau Ffestiniog. Please contact us if you have any corrections or suggestions, thanks - Dave & Mo. We also have a Flickr photo site, now with over 7,300 photos covering some of our favourite subjects. 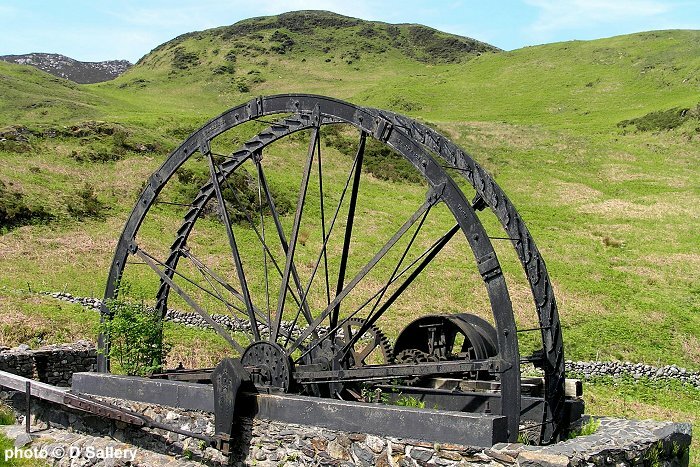 On this website you can read an outline history of the Welsh slate industry, discover details of quarrying methods, follow the routes of old railways and tramways, find out how inclines worked, see examples of remains and relics and read an overview of the industry as it is today. The website also contains over 500 photographs of recent and historical views. After 14 years and now virtually 5,000 entries I have passed this website onto David Kitching for him to further its development. Click on the photo for a link to the new website address. 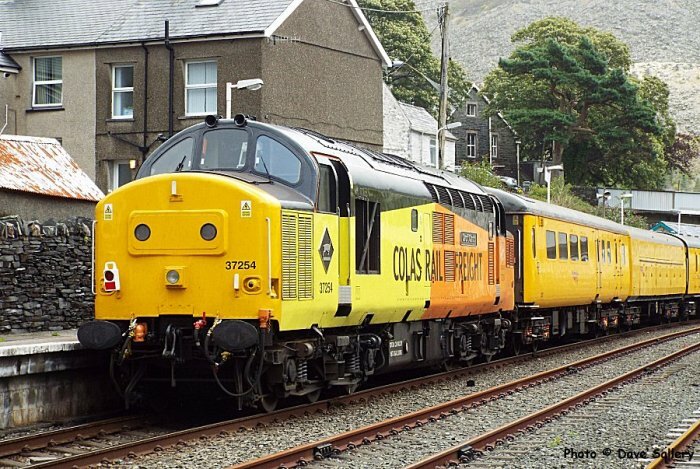 North Wales - Changing Trains - 25 years of evolution. 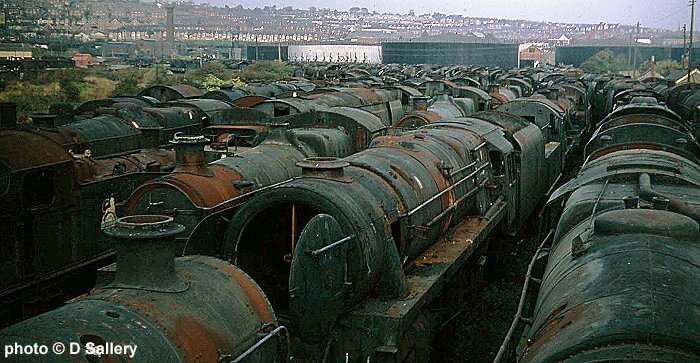 This site originally went online over ten years ago as the North Wales railway archive. It's been expanded over the years and now has over 580 photos. Some of the themes covered so far are Classes 08, 20, 25, 31, 33, 37, 40, 45 and 47, Freightliners, D.M.U. 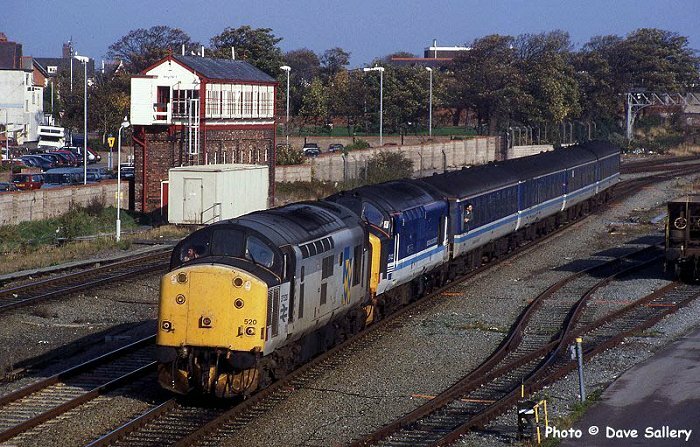 's, Crewe test trains, ballast workings, Amlwch branch, Cambrian coast, Mostyn docks, Point of Ayr colliery, flask trains, Speedlink and many more. The Wrexham - Bidston line has always been one of my favourites. The line is one of contrasts and has a fascinating history. It has always been a bit of a backwater, almost isolated from the rest of the national network. 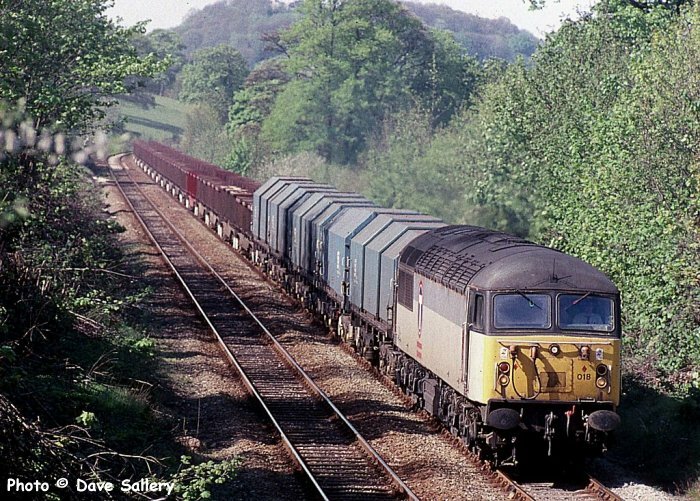 My interest remains strong to this day - not least because it is the only railway in North Wales to have any significant freight traffic. The passenger service has been relaunched as the Borderlands line and a trip on the line is highly recommended. The former state of Yugoslavia had a vast network of narrow gauge railway lines, most of which were laid to 76cm gauge, the same as the Welshpool & Llanfair Railway in the U.K. The origins of this huge network lay in the Austrian occupation in the 1870's and it reached its greatest extent in the 1930's. Much of the mountainous western side of the country was only accessible by the 76cm gauge railways particularly in Bosnia and Hercegovina. 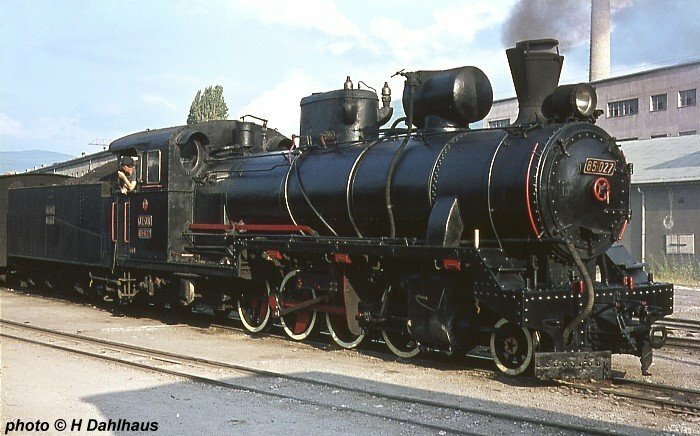 This website has accounts and photographs from several enthusiasts who ventured to Yugoslavia in the 1960's, 1970's and more recently to savour the last of the legendary Yugoslav narrow gauge. The website has recently been enlarged and now contains many new photos of these wonderful railways plus timetables and other details. The Conwy Valley railway is one of the most scenic railway lines in Britain. It is a pleasure to ride at any time of the year and offers superb views of estuary, mountain and moorland. In Blaenau Ffestiniog can be seen an industrial landscape of a unique quality while the views in the Lledr Valley surpass any from the nearby road. 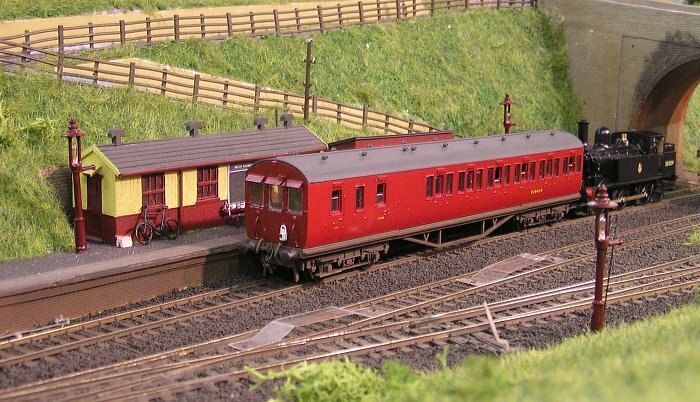 In this site I have tried to bring out the quality of the landscape whilst giving some idea of the variety of trains that the line has witnessed. The previous continuation to Trawsfynydd is featured as well as an armchair guide to the route. 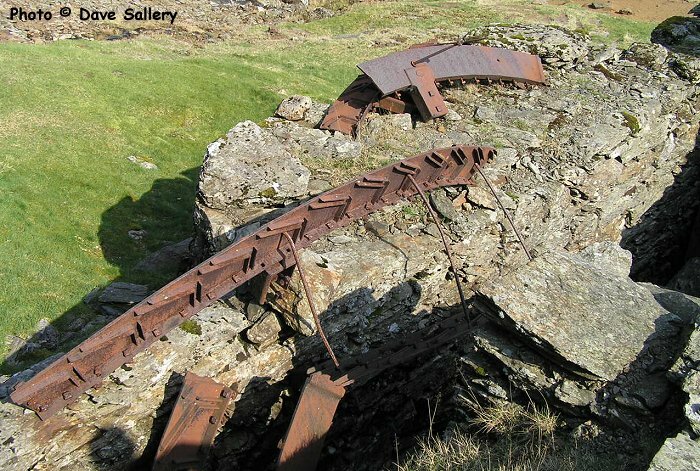 The website also contains a section which details what remains today of the former Great Western Railway line from Trawsfynydd through to Bala. Rhosydd was by no means the largest of the Ffestiniog quarries, neither was it one of the smallest. 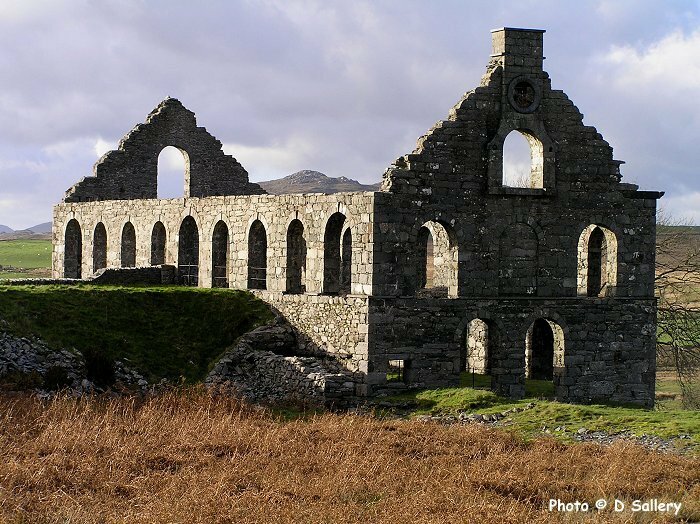 It had a working life, as a major quarry, of approximately 80 years and its demise came about through the drop in demand for slate. The output of the quarry has been estimated at 220 million slates and its waste tips contain over 2 million tons of rock. What sets Rhosydd apart from most of the other quarries is its remoteness, its surface remains and its transport arrangements, added to which is its setting in superlative scenery. Rhiwbach Quarry is situated about 3 miles East of Blaenau Ffestiniog in North West Wales. The tramway, which was built to link it to the Ffestiniog Railway, also served three other quarries. This site is intended to give an impression of what remains of the quarries and tramway today. The Rhiwbach Tramway was the longest feeder line in the industry and runs across bleak uninhabited moorland. Rhiwbach itself was so remote that it had its own schoolhouse. The whole undertaking gives some idea of just how important the Slate Industry was to this part of the world. This is my latest website and it went live in January 2018. 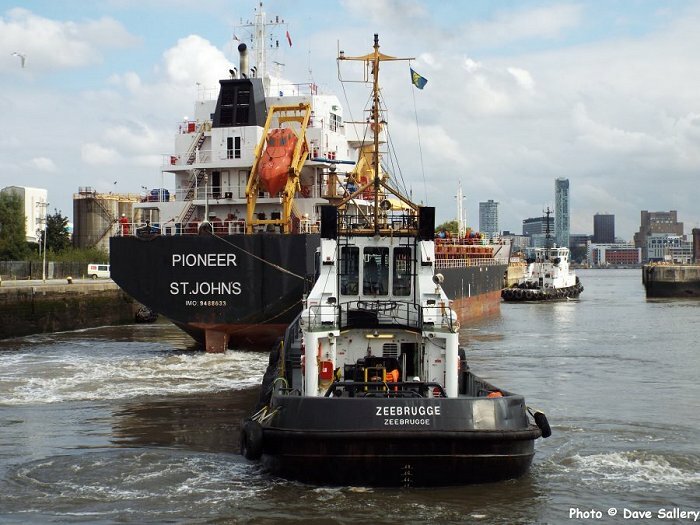 I have been taking photos of ships up and down the country for quite a few years. On this website are some of my favourite photos. Various locations are featured from Southampton in the south to Aberdeen in the north. 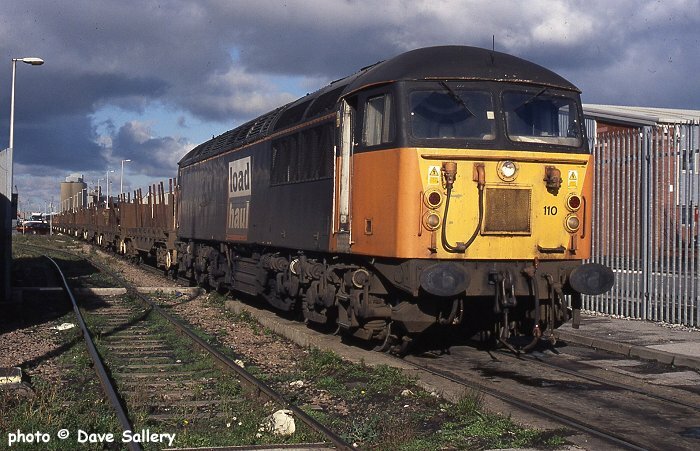 A selection of 70 scanned transparencies taken up to 2003 of trains in Liverpool, Birkenhead and Ellesmere Port docks. Classes featured are 03, 31, 37, 47, 56, 57, 60 and 66. 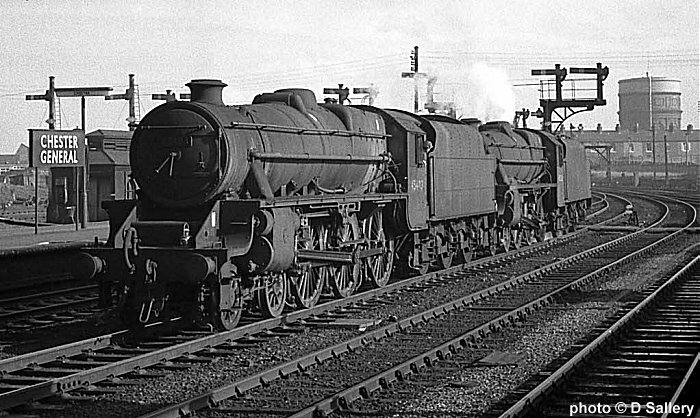 Steam power on British Railways ended in 1968. In the years leading up to this, I was trying to photograph what I could of the steam railway scene. This site is a random selection of some of the photos I took. Now enlarged with newly scanned colour images. 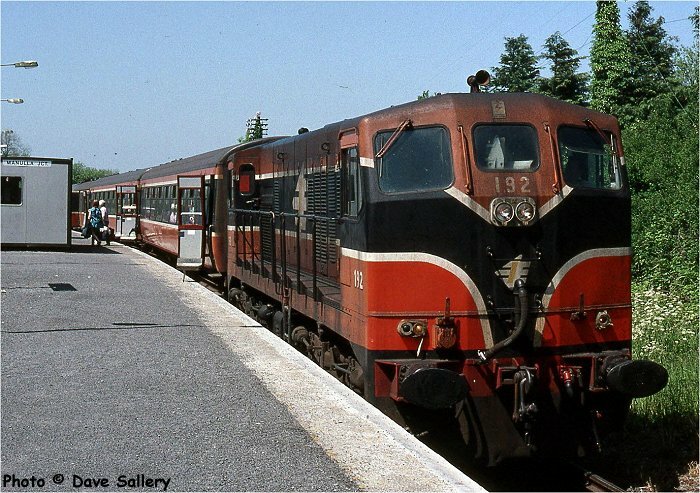 This website features a selection of scanned transparencies of the railways of Ireland as they were in the 1990's. Following a massive investment programme in recent years, very few of these views are possible today. 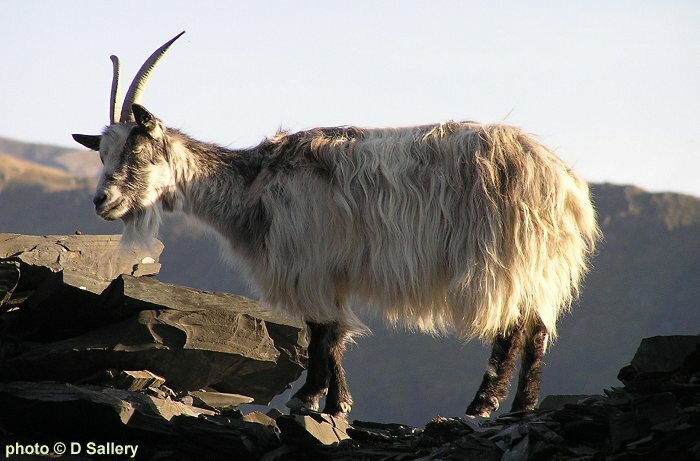 All the photos were taken on day trips by ferry from Holyhead. The circular tour of North Wales by train. 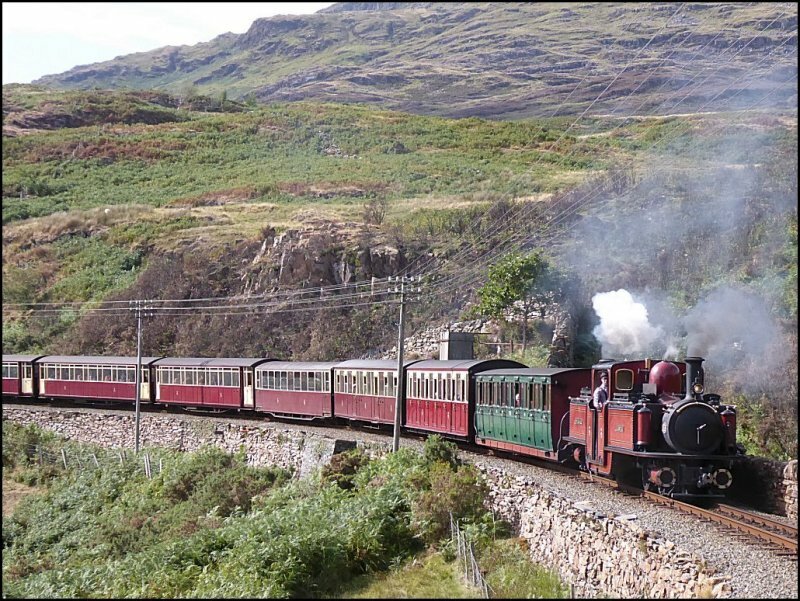 The circular tour of North Wales by rail - travelling on the North Wales coast line, Conwy Valley, Ffestiniog Railway, and Cambrian line is one of Wales's best kept secrets. On this website you will find a route guide and some traveller's comments. I no longer provide train times or fares information. Further information may be obtained from Arriva Trains Wales or the Ffestiniog Railway. 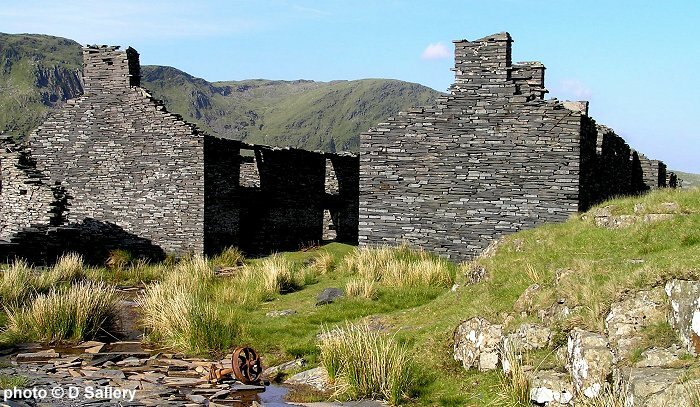 An abandoned copper mine high on the slopes of Lliwedd, one of the mountains of the Snowdon horseshoe. Mining ceased in 1867 but the site still contains a wealth of industrial artifacts. In a wild and remote location, it's not the easiest place to get to, however a visit will repay the effort involved. My wife is a better poet than she admits to and this is her contribution to cyberspace. Over 50 poems cover a number of topics but few are about pretty views or the world as seen through rose tinted spectacles. Cwm Ciprwth is surely one of the industrial archaeology gems of North Wales. This little known location is hidden away in a side valley above Cwm Pennant in Snowdonia. 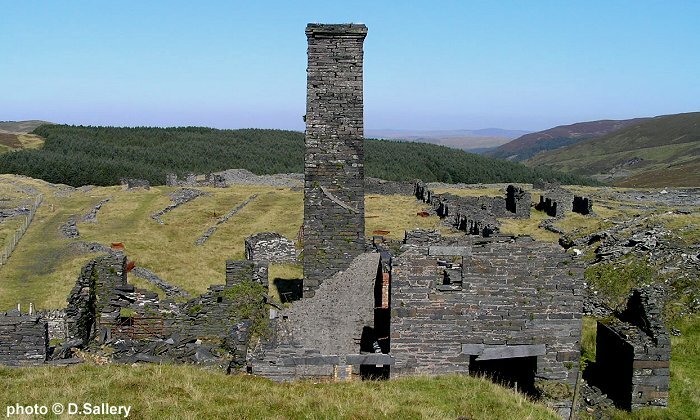 This website gives directions to Cwm Ciprwth, a brief history of the mine and a selection of photographs. 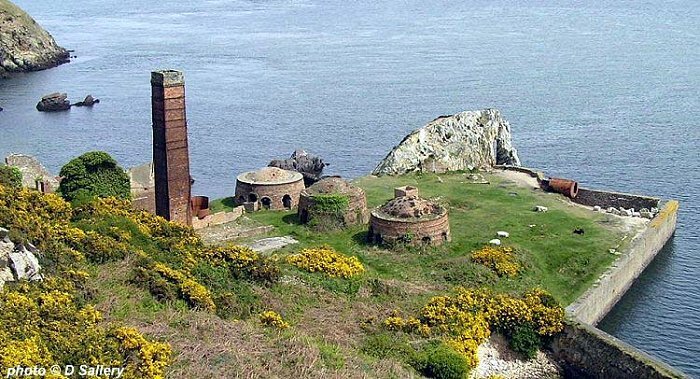 On the north coast of Anglesey, a few miles west of Amlwch, are the remains of a brickworks. It was opened at the turn of the last century to make bricks for the steel industry. The bricks were exported by sea from its own wharf. The works closed down at the start of the first world war and most of it has slowly rusted away ever since. This website also has additional features on Llanlleiana porcelain works, Cemaes Bay brickworks and tramway and the navigation markers at Carmel Head. This website has now moved, new address on this link. 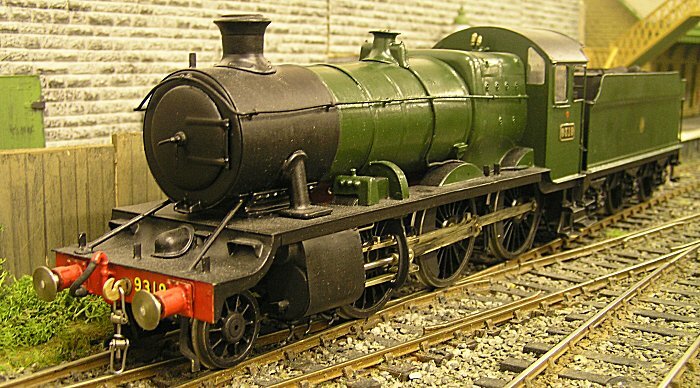 Mike offers a model loco kit building service, view the website for further details. The Penmorfa websites cost approximately �200 per year in payment to our service suppliers, etc. If you feel you would like to contribute please click the button below - thanks. The information (not photographs) held within the Penmorfa.com websites may be reproduced without permission but only if the website is duly credited with providing this information. All of the photographs held on these websites remain the property of the owners and must NOT be reproduced without prior permission.